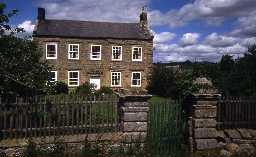 Brinkheugh, Brinkburn. Photo by Peter Ryder. 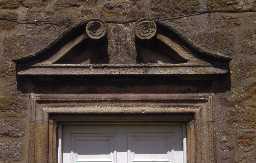 Late 17th century south door at Brinkheugh, Brinkburn. Photo by Peter Ryder. 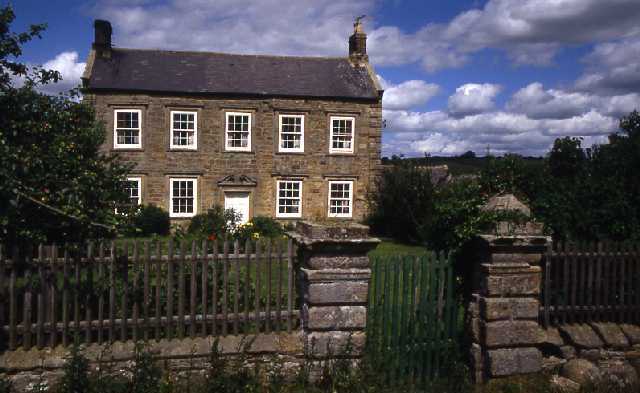 Brinkheugh is a small manor house and is made up of two blocks: one a late 17th century building and the other a bastle of around 1600 in date. The bastle forms the rear of the manor house and there are quite a few original features, including original doorways, a window with an iron grille, and boulder plinth. 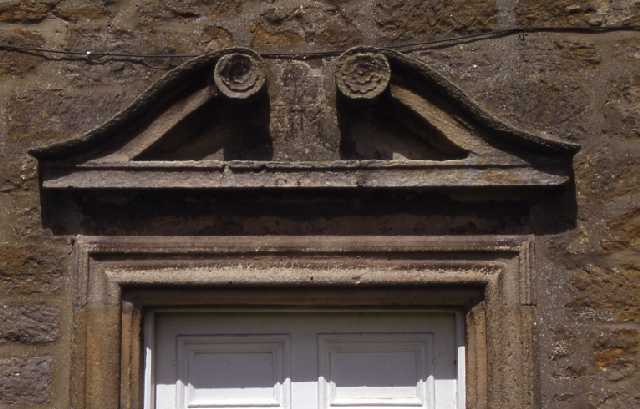 The front block of the house probably dates to after 1660 and is inscribed above the doorway BIM 16.. These are thought to be the initials of James and Margaret Bilton who bought the property in the 1660s. This is a Grade II* Listed Building protected by law.